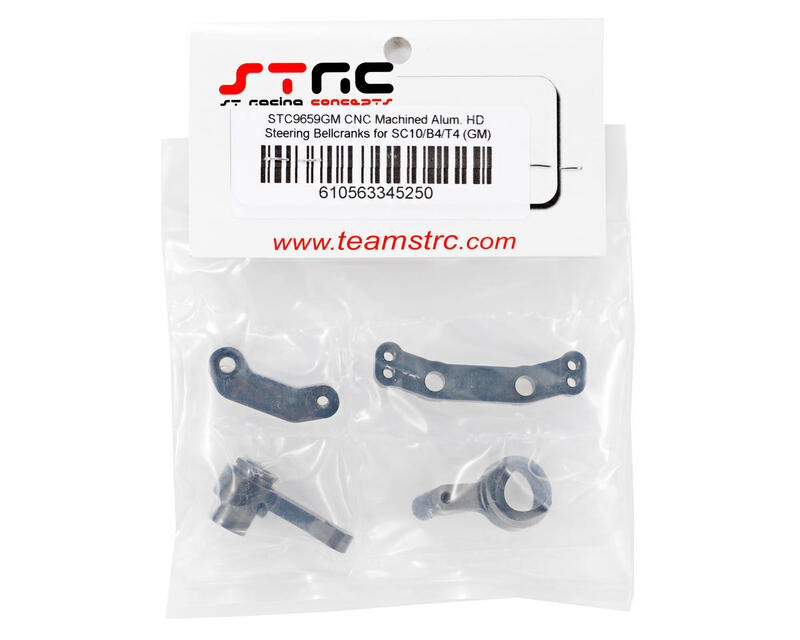 This is an optional ST Racing Concepts CNC Machined Aluminum HD Steering Bellcrank Set, and is intended for use with the Associated T4, B4 and SC10 vehicles. The stock steering bellcrank system has been a common weak spot on the SC10, T4 and B4. 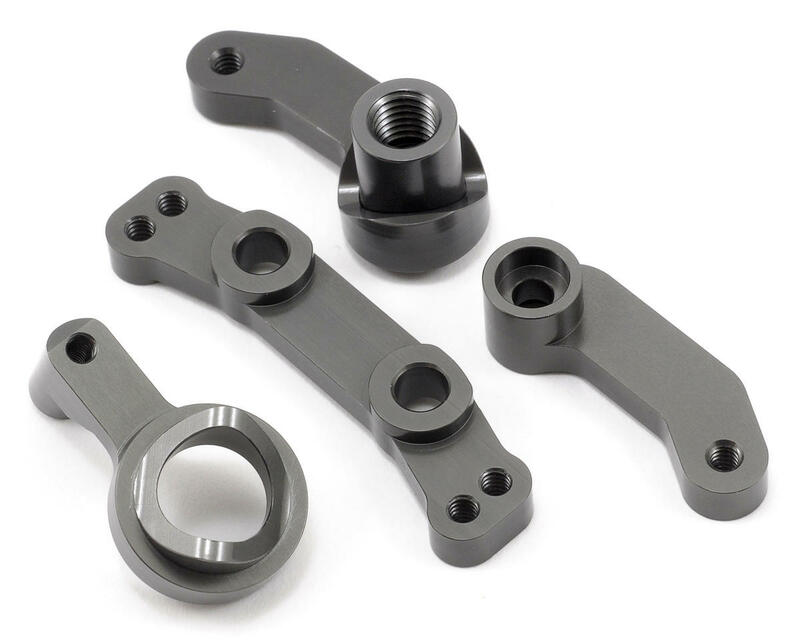 The ST Racing CNC Machined Aluminum Multi-piece Steering Bellcrank Set increases durability and eliminates any flex in the stock plastic bellcrank system, providing a more precise steering feel.